First line: "She cut herself opening the envelope." Thoughts: The inevitable moment when a book completely takes your breath away, and all you can do is put the book down and clap. That is the best way to sum up my feelings for THE WINNER'S CRIME. How is it that Marie Rutkoski can write my favorite book of 2014 and follow it up with (most likely) my favorite book of 2015? I mean, I loved THE WINNER'S CURSE, but I really, really, really loved THE WINNER'S CRIME regardless of how many times the author broke my heart and continued to stomp on it. If ever there was a book to look out for in 2015, this is the book! The book starts off a few months after THE WINNER'S CURSE. Kestrel is in Valoria adjusting to her new life as the fiancee of the emperor's son. Though she is use to living a privileged life, she isn't use to the dynamics and drama that comes with living at court. People, including the emperor and her betrothed, are playing games with her, and she must choose her next move wisely. Meanwhile, you have Arin back in Herran adjusting to his life as the governor. 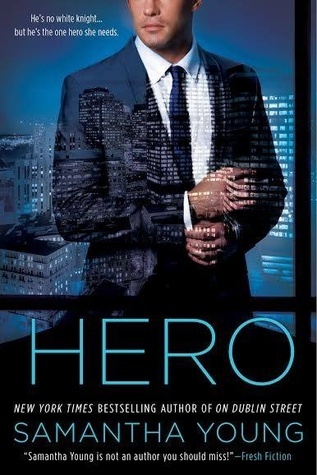 Of all the characters in this novel that affected me, my heart ached for Arin the most. He is trying his darndest to understand why Kestrel would chose Prince Verex over him. Of course, we know why and how this isn't the case at all, which probably makes reading Arin's point of view that much harder. I don't think this is spoiling anything, being as it was inevitable, but whenever Kestrel and Arin finally saw each other for the first time since she sailed off, I pretty much fell out of my seat. Sparks everywhere, chemistry jumping out of the pages, and sweet mercy, all I wanted Kestrel to do was run off with Arin and give everyone the middle finger. Screw the politics and Valoria! Alas, they can't. Too much at stake. They're free but not free. Now, fair warning to you all- This book is pure torture. I'm usually 50/50 when it comes to angst. THE WINNER'S CRIME, however, has plenty of it, and it is spectacular. I enjoyed watching the games unfold and seeing how both Valorians and Herrani can be manipulative. As they say, keep your friends close and your enemies closer. Betrayal runs deep in this novel, and I'm not going to sit here, lie to you or tell you how everything will be okay. It will hurt, and you're going to love it. 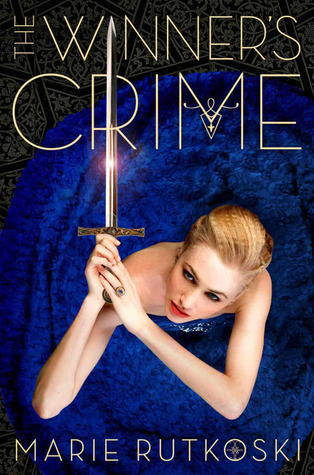 If you thought the cliffhanger in the first book was shocking, wait until you read THE WINNER'S CRIME. Worst book hangover ever! love interest, this isn't the book for you. Otherwise, you need this book in your life, and you need it now! Of all the books I cannot wait to read, The Winner's Trilogy #3 is on the top of the list. Until then, I guess I'll just experiment and figure out how I can eat a bowl of pink mousse with a sugar spoon. "Can they change their destiny? Two breathtaking romances interweave across time in this story of what lies on the other side of Fate, as both Jas and Luc discover the incredible lengths they will go for love. " First Line: "'Close your eyes. Tell me what you see.'" Thoughts: Going into the novel, I didn't know what to expect. Since Corinthe played such a huge role in the first novel, I wondered how this one would go. After all, Luc did promise to find a way to be with Corinthe, even if he has to travel back in time and change the past. How would this theme work? Overall, while I liked CHAOS, I have to admit that I did like FATES more. First off, this novel is told through Luc and Jasmine's point of views. You have Luc who is trying to manipulate time and find/be with Corinthe, and then you have Jas who is both blacking out and trying to piece together lost days and also running from the Executors. Sadly, her fate is still to die even though Corinthe sacrificed herself for Jas. One thing I did like about this novel is how you learn more about Jas' history. Her back story is interesting, and I appreciated her and found her more intriguing in this novel than the last. One of the misses for me, however, is her relationship with Ford. It very much falls into the instalove category, and just felt very forced to me. I know teenagers sometimes fall immediately in love and whatnot, but I guess I'm just the type of person that would've liked to see a friendship initially built rather than love at first sight. Preferences and whatnot. All in all, I enjoyed the mythology, the character development, the beautiful writing, and the introductions to new characters. The writing is what originally drew me into FATES, and it is what kept me reading in CHAOS. I look forward to seeing what Lanie Bross has in store for us next! Lanie Bross was born in a small town in Maine, where she spent the next 18 years dreaming of bigger places. 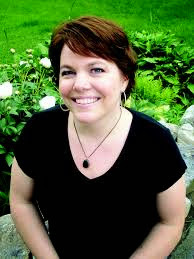 After exploring city life, she and her husband and two young sons ended up coming right back to the wilds of Maine where they now live just one house down from where she grew up. Fate, perhaps? She loves chasing around her rambunctious kids, playing tug-o-war with her 95 pound Lab, and writing for Young Adults. 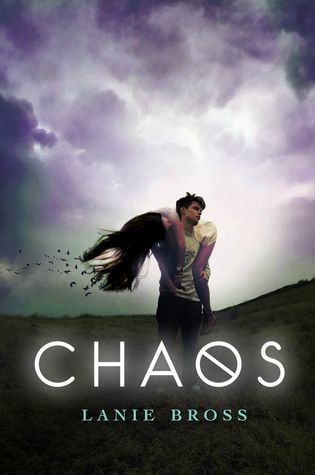 Chaos is the sequel to Fates. Ironically enough, I've asked myself this question before. 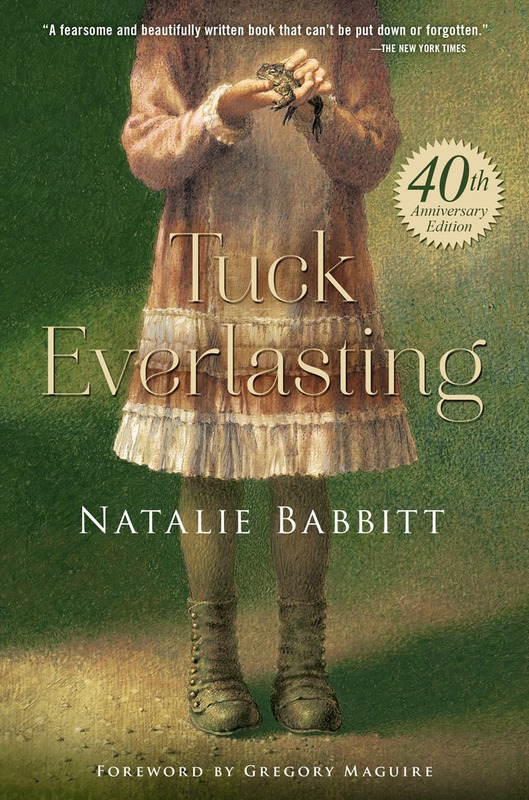 If you've read the book, which I grew up loving, you know one of the questions Winnie must ask herself is if she wants to drink from the spring and live forever like the Tucks. It's a beautiful take on immortality, and apparently you can be immortal without having to turn into a vampire! Seriously though, I don't think I would personally drink from the spring. Living forever has its ups like being able to truly have all the time in the world. So many people die so young or far too soon, never really getting to check off every item on their bucket list. Drinking from the spring would solve this. I could travel the world (and take my time without feeling like I'd have to rush), eat every pastry I've always wanted to, and see how technology evolves. I love architecture and would love to see how houses and buildings look two hundred years from now. WHAT THE HECK WILL THE IPHONE 200s LOOK LIKE?! But being immortal also comes with its downs. Clearly not everyone can drink from the spring. 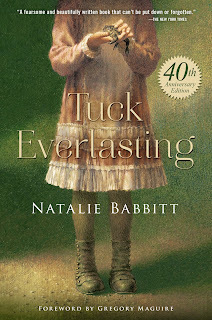 If I were 10 years old like Winnie, I'd have to eventually leave my family and live with the Tucks forever. Or I'd have to explain why I'm not growing up? Runaway and live by myself? Yikes! Being 10, she will never get to go to college, possibly meet someone new, get married, have children, or live the life she was meant to live. I think you get this eternal pause button, and you end up being stuck. I love the idea of growing old with my husband. What will we look like when we're 50? 60? 70? I want to have children and watch them have children, see them get married, and do all of those motherly-grandmotherly things with them. I wouldn't want to have them leave me, die before me, and be stuck in a world without my loves and my friends. Am I suppose to just start over again? Live with the pain forever? No thanks. I mean, one of my cats is already 12, and I'm dreading the day he leaves me (Don't you die, cat! Drink from the spring!). All in all, the idea definitely entices me, however, I just don't think I could live forever, always on the run or hiding, and never truly live. Part of the beauty in experiencing things for the first time is knowing how special that moment is, especially knowing there's an expiration date. I know, it's kind of morbid, but it's true. Be sure to check out the 40th Anniversary edition and snag a copy for yourself. It's BEAUTIFUL, includes a foreward from Wicked author Gregory Maguire, and a classic you'll want to share with others. 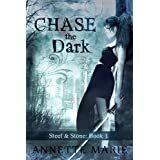 1) Chase The Dark by Annette Marie – This book took me by complete surprise. I stumbled upon it on Amazon and bought it on a whim, and wow. I was sucked in from the first page. 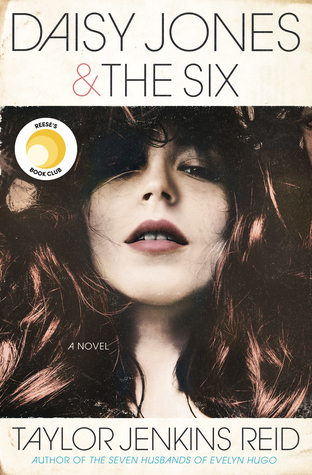 It’s a modern adventure with otherworldly characters and some nonstop sexual tension that held me captive until the last page. It was a rush! 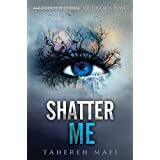 2) The Shatter Me series by Tahereh Mafi –I’ve never been so captivated by a writing style. The story was gripping and calculating, but the voice of the story was just…incredible. Completely unique. I loved every minute of these books. 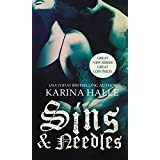 3) Sins & Needles by Karina Halle –This was my first Karina Halle book and it was a wild ride! I loved her characters. They were passionate, flawed, and believable. So good. 4) Faking It by Cora Carmack – I love everything Cora writes—everything—and Faking It was just as amazing as all her other books. But it was also so much fun! I smiled throughout the whole story. 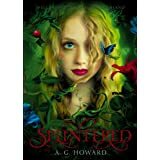 5) Splintered by A.G. Howard – I’ve never experienced such a twisted combination of horror and fantasy in one book. Like…this story crawled into my head and haunted my dreams. I’m not kidding. I had beautiful nightmares because of Splintered. Haha. It’s the best reimagining of Alice In Wonderland I’ve ever read. Giveaway time! Enter to win one of five signed copies of PERFECT KIND OF TROUBLE. Just fill out the Rafflecopter form below! US and CA only.